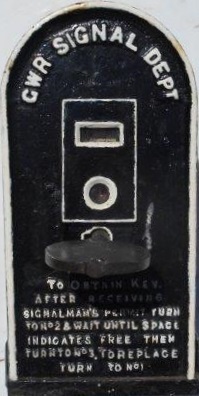 Lot 43 BR (WR) C/I "GWR SIGNAL DEPT" Occupation Crossing Instrument, With Blank Brass Annette Key. Restored condition. Nice example.